"DRYLOCKER HOCKEY BAGS – A HOCKEY MOM'S BEST FRIEND?" "Make the right call with Drylocker hockey bags...I haven't had a stinky call since I started using one..."
" Looks great! We love our drylocker for my son's equipment! No more smelly equipment spread all over the house!" 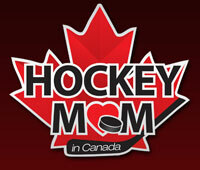 "These bags are amazing for all you hockey moms out there....go and get one....you will not be disappointed!"